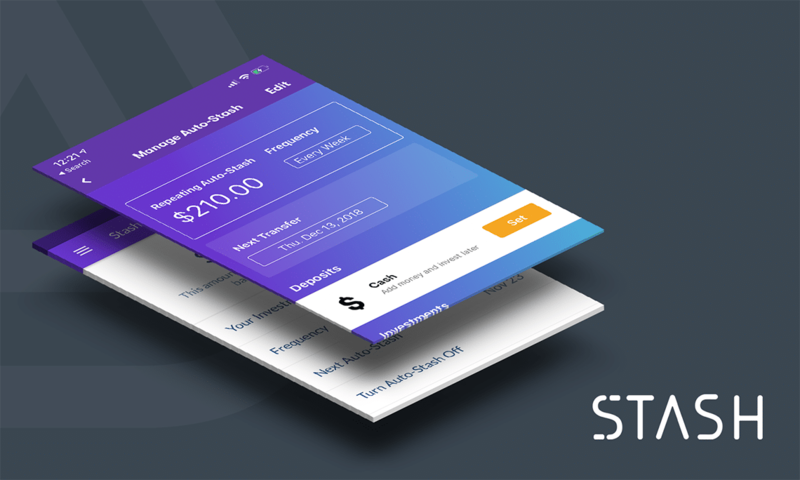 Stash is a personal finance and investment app that makes investing more accessible to the masses by letting people start investing with as little as $5. The app helps investors (or as they like to call Stashers) save and invest for the long term and to develop smarter financial habits by offering coaching advice, financial and investment tips and built-in tools to automate the investing experience. 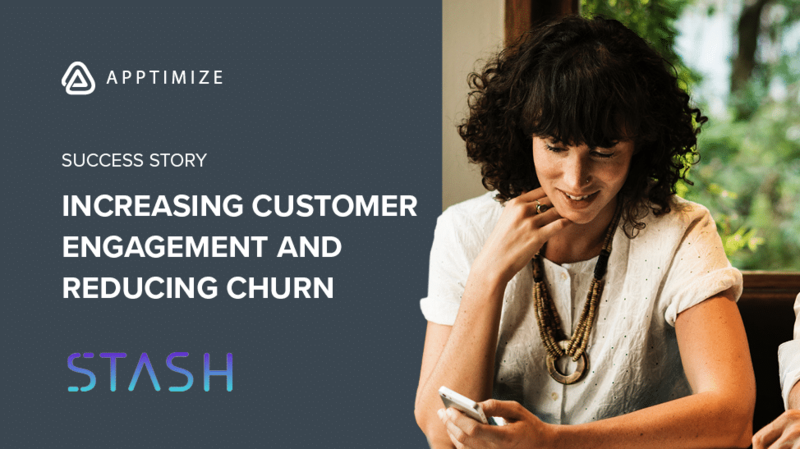 Stash was looking to reduce churn and increase overall user engagement. The Auto-Stash feature allowed investors to automatically schedule their investments but there were instances where investors would disable the feature if the markets were down. The product team at Stash decided to completely re-design the feature. By clearly displaying the amount of each investment in a Stasher’s portfolio, rather than just the aggregate total value of their portfolio, they would be more likely to keep their Auto-Stash Set Schedule turned on for their investments. 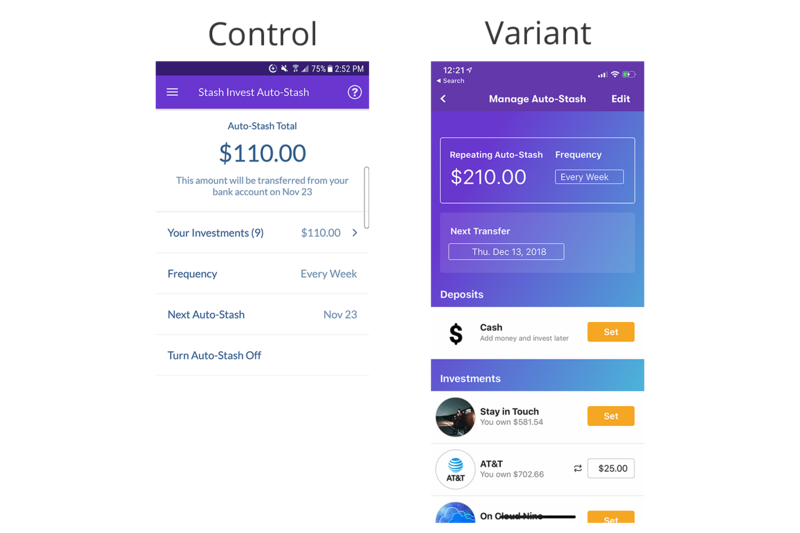 Stash ran an A/B test on a new design of the Auto-Stash feature that showed individual investment amounts. The control was the current version of the Auto-Stash feature showing the aggregate total of a user’s portfolio. The variant that showed the amount of each investment in a user’s portfolio along with the total aggregate value of their portfolio caused 12% more Stashers to keep automatically saving even 8 months later. The investment app was always looking for ways to make the app simpler for their clients. But this test showed them that sometimes Stashers want to be able to see more details about the investments they’re buying every week, not just the total amount. The experiment resolved questions about how they display information about investments to Stashers. Disclosure: Investment advisory services offered by Stash Investments LLC, an SEC registered investment adviser. This information is for educational purposes only, and is not intended as investment, legal, accounting or tax advice. Images of account holdings and performance are hypothetical and are provided for information purposes only. Thu leads content marketing at Apptimize.